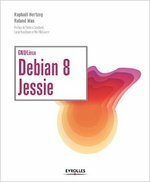 I still have a problem with Debian’s approach in that it mostly exists to weed out the undesirables, rather than encourage and support the learning process towards becoming a capable developer, plus it gives an insane amount of personal power to DAM to impose their personal issues as a “justification” for weeding someone out. I also think that the fact that Debian has a debian-private list removes the incentive for existing developers to mature as individuals and learn to calmly and responsibly discuss issues they might have with applicants in the open. By contrast, Ubuntu supports the learning process towards gradually becoming a core-developer, empowering the applicants in a granular and progressive way and pointing them towards specific areas of improvements and encouraging them to re-apply for the next empowerment level, if the consensus is that they are not yet ready, rather than weed them out. I think your point of view is too much colored by your own (bad) experience. First of all, the debian-private list has almost never been used to discuss problems with applicants. Then, even in Debian, we have evolved and people who are not yet ready are told so and they are not told that they will never be able to try again, quite on the contrary in fact. It’s possible to have “hard rejection” but we can count them with our fingers, there are not many of those. I agree that Ubuntu still does better but Debian is no longer as bad as you suggest it. DAM is even a team nowadays so personal issues with one of them are less problematic (but OTOH if someone is the kind of person that gets into personal issues with other developers, we tend to get very cautious). My personal experience indeed has something to do with it, but my observation of how things have evolved over the years since the late-90’s also confirm that the fundamental problem still hasn’t been addressed by the Debian roject. One other point you haven’t addressed in your response is how Debian deals with existing developers who act aggressively towards newcomers. This is one area that, if it ever had been addressed properly, would have significantly increased my trust in Debian and helped me agree that things have indeed evolved in a positive direction. Unfortunately, I cannot say that they have, as none of the last 3 DPL ever addressed my concerns even when directly prompted about the issue, in a very neutral way, asking for their advice on how to proceed. There is no standardized process to deals with existing developers that behave badly, that’s true. But things are evolving: 1/ we’re not making it worse because we try to not accept people who have shown such behavior from the start. 2/ The bad behavior no longer stay unchallenged on mailing list, even the DPL respond sometimes to point out that some behavior are undesirable. We can always do better but there’s no miracle solution when it comes to issues with people… the situation is never entirely black or entirely white. I welcome proposals on how to deal with cases similar to mine, where my DM application was rejected solely on the basis of several people objecting with a short message along the line of “I don’t like him and I object to his application. If anyone wants to know why, ask me on debian-private or directly in private” and where only one member of the DAM team voiced his opinion and no final, properly justified decision, was ever reached. + 1 Martin-Éric, except for the thing about debian-private (not that I have a different opinion, I just don’t know about that). I also had a bad experience, and nobody was felt responsible to explain exactly why I was rejected and silently removed from DB (even if it was a simple omission of the system). But that’s not what bugs me the most. What bugs me the most is that Debian is losing a lot of contributors because they just don’t want to bother with the bureaucracy, and specially the feeling that they have to prove themselves against being weeded out. I think that you’re spot on with that definition. Debian devels are in their marble castle, even those who are completely inoperative and irresponsible to even RFH/orphan their packages (and there are lots of that people, I reported several cases recently to MIA and they confirmed it). Meanwhile, it’s not rare to see that when people apply to *DM* (not even DD), they have been maintaining more packages for years and been more active while doing so than the average Debian Developer. Yet they don’t have any power to upload packages that developers neglect, to vote (a right that many Debian Devels don’t bother with), and they have to depend continuously on the good will of DDs to change things for them. DMs even have to prove themselves with annual pings, whereas there isn’t any kind of similar requirement for DDs. A few years down the line, by the time that a contributor might get DD status, she might be bored/wore out/busy with life that they only produce a fraction of what they had been produced in their “applicant” years. So I think that weeding people out from an exclusive club describes quite well the process. And I’m convinced that the decay of Debian in general, specially the high rate of bit-rotting in the archives (shipping packages ~5 years old when there have been upstream releases every year; packages with half a dozen or more NMUs over years not acknowledged; etc) has a lot to do with focusing too much of pushing enthusiastic contributors back, not fully taking profit from the years where contributors are more active, and not imposing stringent rules where matters — in obligations of developers and automatic weeding of them, not in lintian. I have already discussed the issue at length with Manuel and I just don’t agree with him. He became DM in a bit more than one month after his request, and that only after a few months of contribution. His complaints are mostly unfounded. Most of the DD went into the same process, and while many vanished without properly orphaning packages, it’s not a reason to grant DD rights to any contributor right from the start. Many DD are active (more than 650 DD uploaded packages in 2010) and they are there to sponsor uploads by new contributors. And many DM went to the next step and became DD. Yes we have cruft in the archive and neglected packages, but we are not actively forbidding anyone from contributing. And AFAIK Martin Eric Racine was not accepted as DD/DM for multiple reasons none of them having to do with the fact that some people don’t like him. People can look up the history of the debian-newmaint list if they really care. Communication skills and technical skills were the crux of the issues, that’s all I will say. But this blog is not the place for discussing those 2 exceptional cases, and this was my last message on this topic. And I agree, but it is a question that you (and Martin) address in the article and comments, respectively. The number of roles in Ubuntu is bigger and the process more gradual, and from the outside (I have had very scarce interaction with Ubuntu and never tried to become a member) it seems to me that it applies what Martin says: “I still have a problem with Debian’s approach in that it mostly exists to weed out the undesirables, rather than encourage and support the learning process towards becoming a capable developer”. I don’t think that most of the developers around year 2000 and before typically spent 1-2 years as DMs and then again 1-2 years more to get DD status. 1-2 years is the time that most people applying for DM and DD in the last few weeks spent doing useful things before applying. If Debian had done this since the beginning, it couldn’t have taken off, and I’d bet that in the years when Debian was more strong the time from outsider to DD was much shorter than the typical time for people who reached the status during last years. I’ve seen many cases recently where the developer updates one or two of her ~10 packages in 2010, while not touching packages in 3-5 years, having several upstream releases in 2008-2010. Updating two, neglecting ten. I can send you links in private if you don’t believe me, I’ve been reporting some of these cases recently trying to get Debian archive up to date. I’m collaborating in many other free sw projects (and not only software projects), and I’ve yet to find any other which is so much unwelcoming to people who are wishing to make Debian better. Other projects even offer resources and encouragement before people starts making something useful; while in Debian if you plan to tackle some task when the current maintainer is not bent to help you, or a package that it’s not trivial and there’s nobody who want to sponsor the upload, or the maintainer doesn’t acknowledge and upload your translations, you’re bound to much friction to get things done. (And note that 2 of the 3 examples are real and don’t apply to me). I didn’t bring my issues at all (except one phrase at the beginning, kind of disclaimer), I tried to stay on topic and discuss the article. In fact, it’s you who are continuously bringing up this issue, as if having had a bad affair with Debian would invalidate the rest of my/our opinions for the rest of the life, even when scarcely mentioning it (as my case with these comments). Actually, as I’ve already stated 1) there was no final decision, only one rather inflammatory statement by one of the DAM saying that he at least wouldn’t give his OK and 2) most of the messages voicing their opposition did involve personal issues and, interestingly enough, since you mention communication skills, some old contributors’ complete lack of communication or social skills. That some people would rather look the other way whenever someone flames me or trolls an NM discussion with really old bug reports as “evidence” of insufficient technical skills (and in which those same people, among other things, throw personal insults at me and threaten to hijack the packages I maintain) is the real reason why NM is broken even for something as simple as finally being allowed to upload the packages I have been maintaining for several years without requiring any sponsor. Terrific article. Thank you very much Raphaël. As Jeremiah, I found this article to be very interesting. Considering Debian and Ubuntu share lots of technical things, comparing their [social | structure | …] side is also worth a read. Let’s hope we can learn from each other (“we” in the sense that I am just a maintainer, but I consider myself part of the project… somehow 🙂 ). I was about to write “Debian maintainer” wanting to reflect the fact that I maintain packages for Debian. But then I stumble with the fact that DM is another thing.